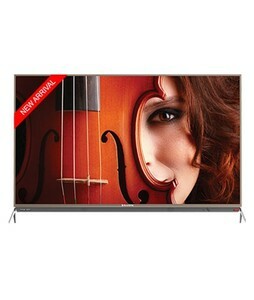 The EcoStar 65UD930 is an elegantly designed and sublime LED TV from the reputed electronics manufacturer in Pakistan. The EcoStar 65UD930 comes with a UHD resolution, a massive 65-inch display, HDR, USB and HDMI connectivity, and proprietary image refinery algorithms. The Motion Reality engine coupled with the RealColor engine and the Sound Max engine ensure an excellent viewing experience for audiences. The picture quality is supreme with exceptional colors, high sharpness, and great contrast between the blacks and the whites. The Android support and smart features ensure that you can stream content from all your favorite online sources such as NetFlix and YouTube. The only drawback though is that the EcoStar 65UD930 LED TV does not come with built-in woofers for enhanced sound performance. 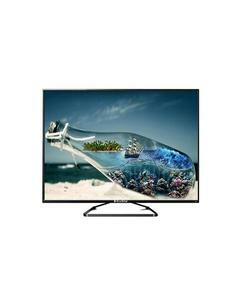 The Lowest price of EcoStar 65 Inch 65UD930 LED TV in Pakistan is Rs. 158,999, and estimated average price is Rs. 165,666. The prices are collected from the best online stores in Pakistan like Daraz.pk, iShopping.pk - updated Apr 2019.